Believe it or not, we get our fair share of emails asking us how we make our mood boards. 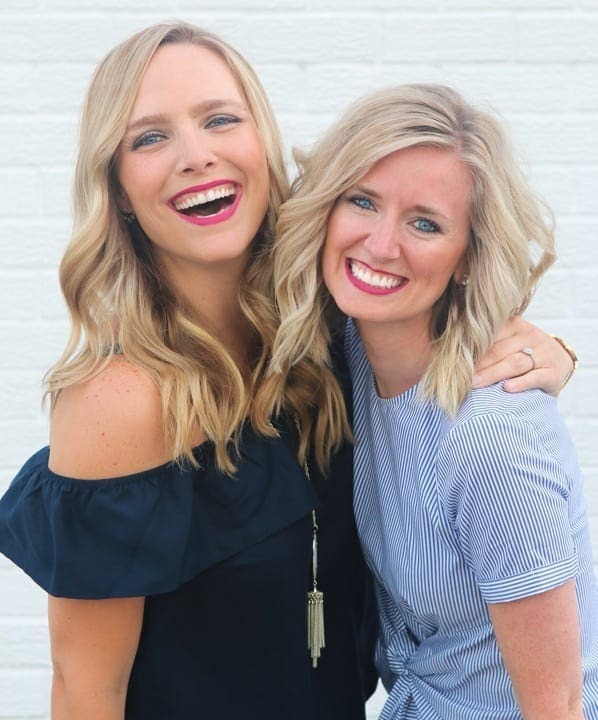 Because we use a free website (instead of photoshop) and our method is even more basic than rookie-level, we never really thought to do a blog post on the topic. HOWEVER, we recently realized that our way is perfect for people who want to visualize a space but, just like us, don’t know how to use photoshop! So instead of feeling embarrassed that we’re totally taking a “shortcut” around the official photoshop way of doing this, we decided to embrace the “average, anyone-can-do-this” approach. 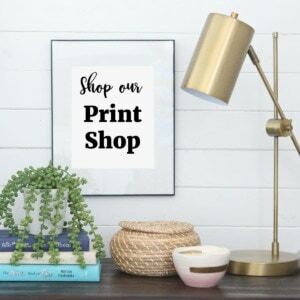 Not to mention, we actually really LOVE using Polyvore to make mood boards and really encourage EVERYONE to play around with different looks via mood boards before shopping for a new space. <— this simple, free step has helped us design with intention so we are never victims of design regret! 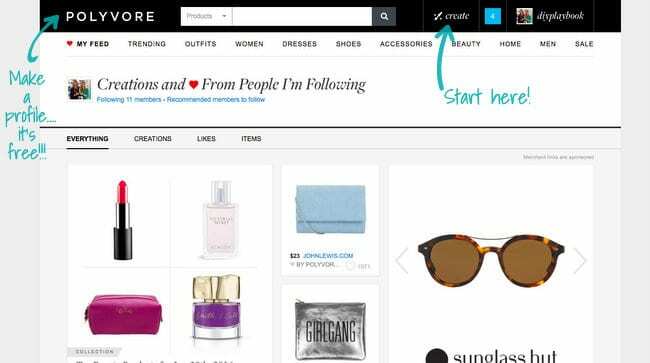 Go to Polyvore.com and Sign-Up (in the upper right-hand corner) with an email account or even your Facebook/Twitter account. 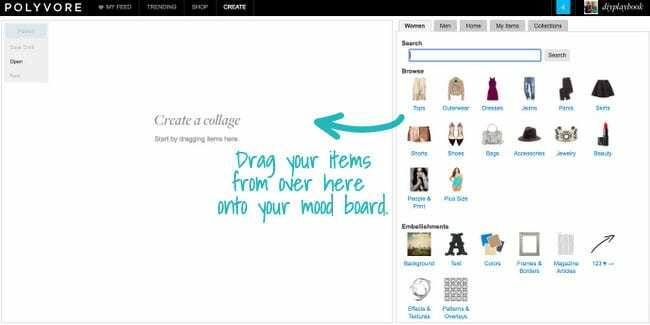 Once you’ve signed up, you’re ready to start your first mood board (or “set” as Polyvore calls it) by pressing CREATE in the upper right-hand corner. Once you press CREATE, you’ll see the screen shown above. You may want to play around searching for items a bit, but honestly, it’s pretty self-explanatory. You can search a specific item (ex: Target Threshold Pom-Pom Pillow Gray) or just search general items (ex: Gray Pillow). When you find an item you want to include on the mood board, simply drag it onto the mood board to the left. There are specific categories you can search for items in as well. 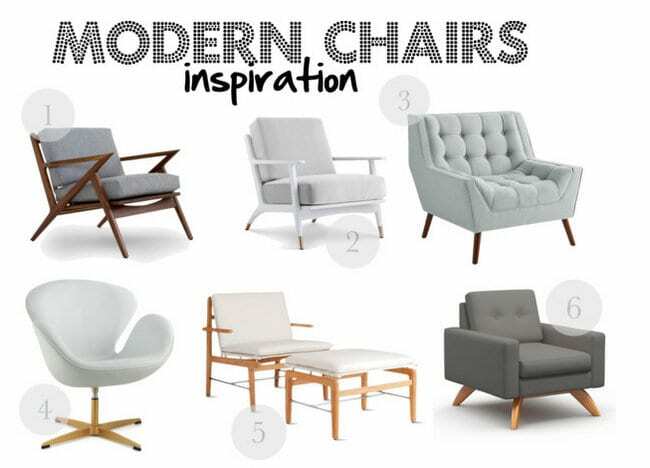 For example, I’m going to make a mood board based on modern chairs so I would go into the “HOME” category and type in “MODERN CHAIRS”. I can be as specific or general as possible, it all depends on what I’m looking to include on my mood board. 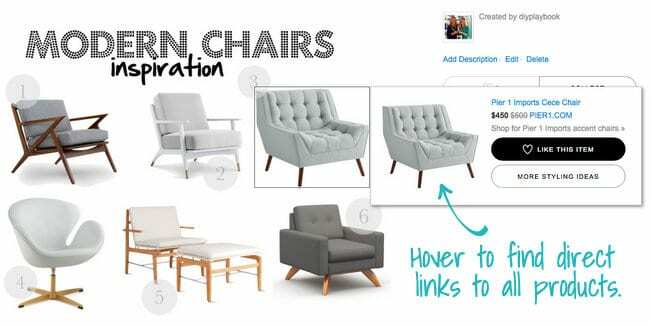 As I come across chairs that I want to include on my mood board, I simply drag and drop them onto the board. 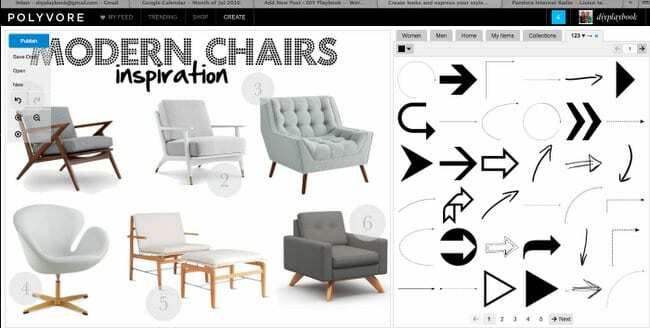 The board is a “living document” until you press publish so you can move the items around, re-size them, re-format the images to a certain extent or even remove them from your board before publishing <– all of these things are super easy to do using the panel of options on the top right corner of the mood board. Rookie Tip: If you hover over each item in the library, you can find out where it is sold and how much it costs. 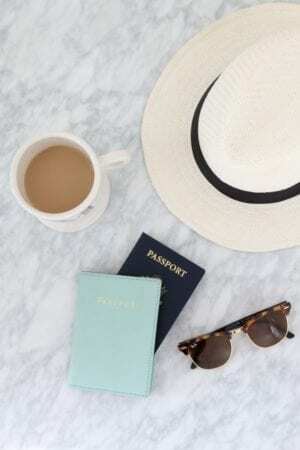 Some of the items are from overseas and won’t be identified in American Dollars, and we try to stay away from those items because we can’t really link them here on the blog. 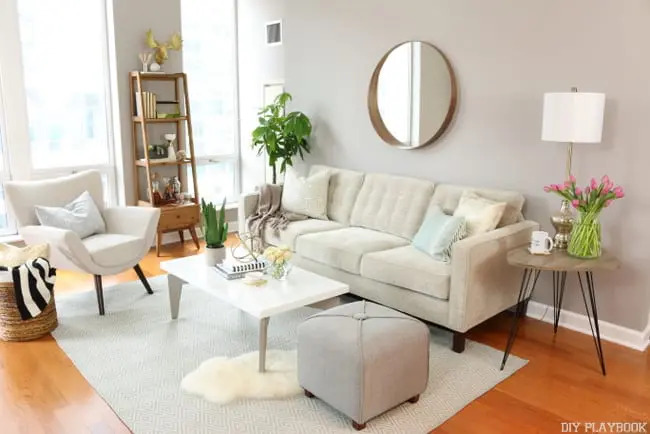 If you’re just adding items to get a vibe of a space, and not necessarily to buy that exact item, the source and price may not be as important to you. Now some items can’t be found while searching Polyvore, yet you still may want to include these items on your mood board. For example, when I made the mood board for the nursery, I knew what large items Katie was going to buy (i.e. the exact crib and exact piece of art above the crib) yet those items weren’t in the Polyvore library to drag and drop. 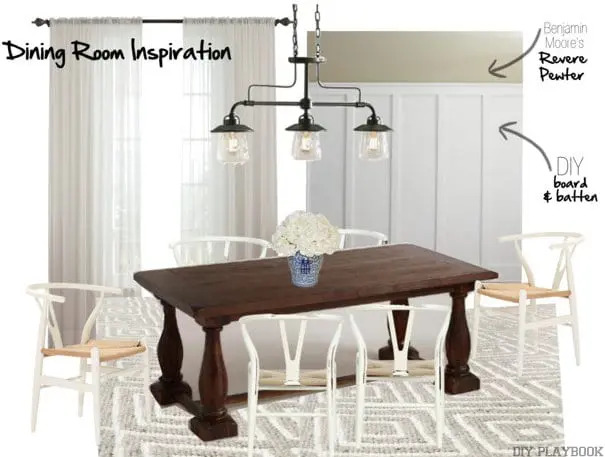 Because a lot of the mood board would depend on these key pieces, I used Polyvore’s clipping tool to clip the images from the manufacturer’s website (like Target and Minted). That way they would appear under “MY ITEMS” in Polyvore and I could easily drag and drop like any other item. The only annoying part is installing the “clipping tool” onto your toolbar, but once you install it, you will have it on your toolbar forever. To install the clipping tool, go to this page and follow the step-by-step instructions (probably do this before you start your first mood board). Once the clipping tool is installed on your computer, you can “clip” items from literally every website. 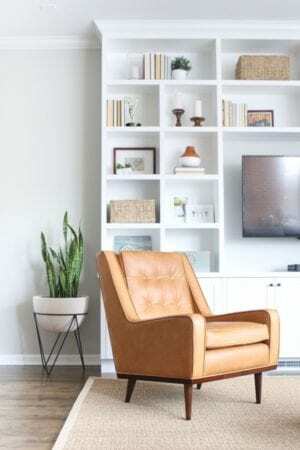 In this example, I went to West Elm’s website and found a chair I wanted to add to the mood board. 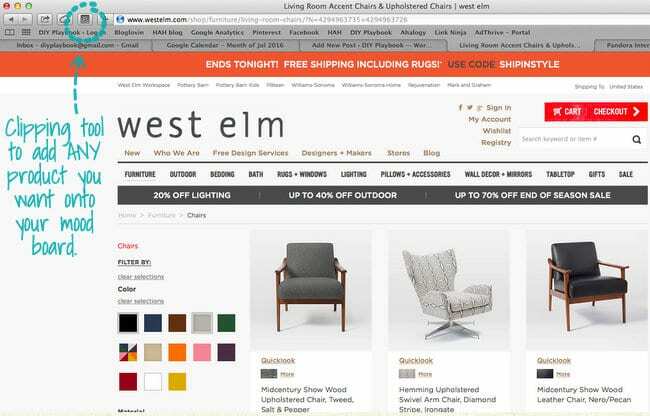 I clicked on that chair on West Elm and then hit the clipping tool on my tool bar (usually you’re prompted to choose the exact graphic you would like to clip). About 5 seconds later, Polyvore notifies you that your item has been clipped. 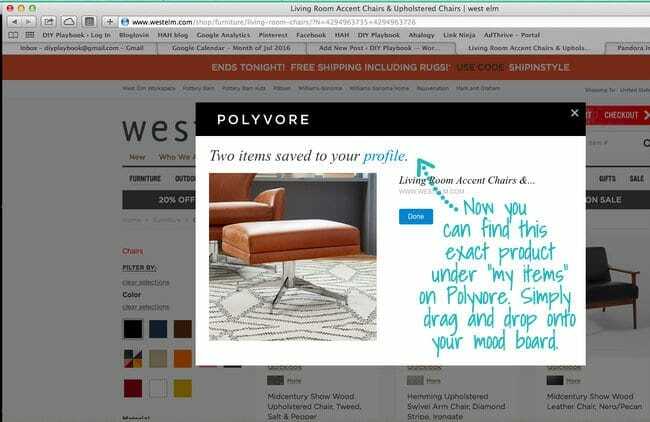 Now if you go back to Polyvore and click on the category called “MY ITEMS”, that chair’s image will be there for you to drag and drop onto your board. 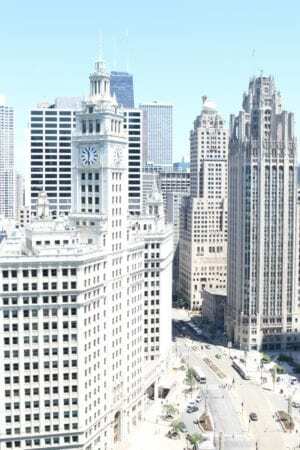 At any point, you can add text, symbols, or special effects to your mood board. I usually wait until the very end of the process to add text, numbers, and arrows, but you can choose to do this step whenever you want. All you have to do is click on the “text” or “arrows/numbers” categories and drag and drop onto the board. At any point, if you don’t like the style, you can remove that text or re-format the color, size, transparency, etc. The other categories are cool to explore if you want to add paint samples, temporary wallpaper ideas, or just general special effects that match your room/outfit/party/event. To add arrows onto our boards, I simply drag and drop the numbers you see in the library of options. Sometimes I’ll resize them or move them around a bit, but other than that, it’s really that easy! Then I’ll add the text, usually to the top of the board. 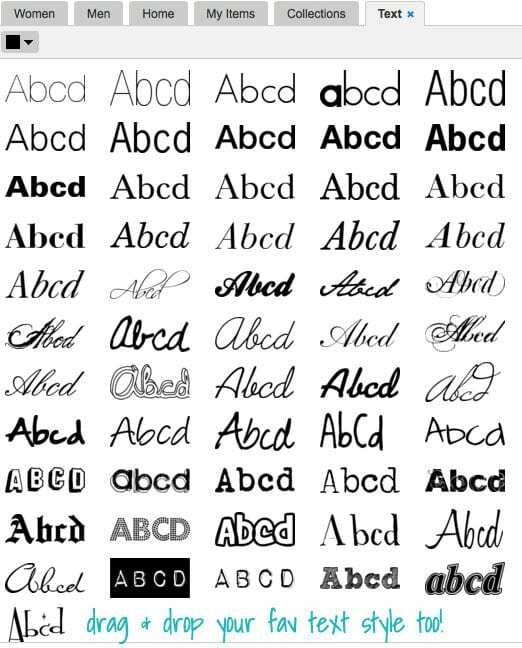 These are the text options to choose from. 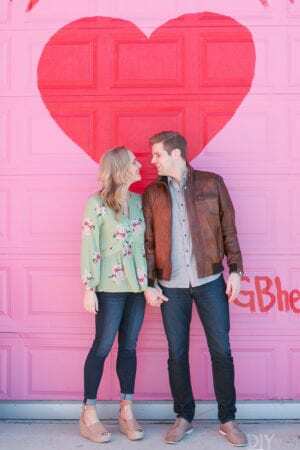 I typically choose the same text every time to keep our mood boards somewhat familiar to readers, but you can have some fun with these fonts… and test out a lot of different looks! Just drag the text style you want, drop it on the board, and write your message in the upper right-hand corner. Once your message is written, you can change the color, size, transparency, etc. Super easy and quick and by clicking on the text box, you can go back and edit/adjust the text (or anything really) at any time! The last thing I do before publishing the mood board is adding arrows or a mini graphic. You do this the same exact way you do anything else, drag and drop. Once your mood board is all set, hit PUBLISH in the upper left-hand corner of the board (It took us about a year to figure this out)! 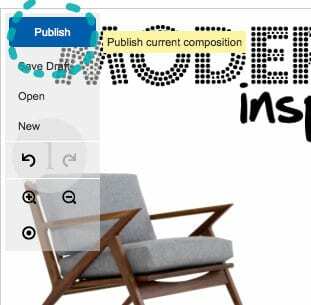 If you don’t want to publish the mood board that same day, you can always save the board as a draft, and come back to it later by hitting CREATE on the homepage and then OPEN. The great news is that if you do publish your board and want to go back and make changes, you can do that just as easily by pulling up the board and pressing EDIT on the right side of the screen. After you publish the board in polyvore, this “set” will always be a part of your Polyvore profile, which is amazing because you can always refer back to it. 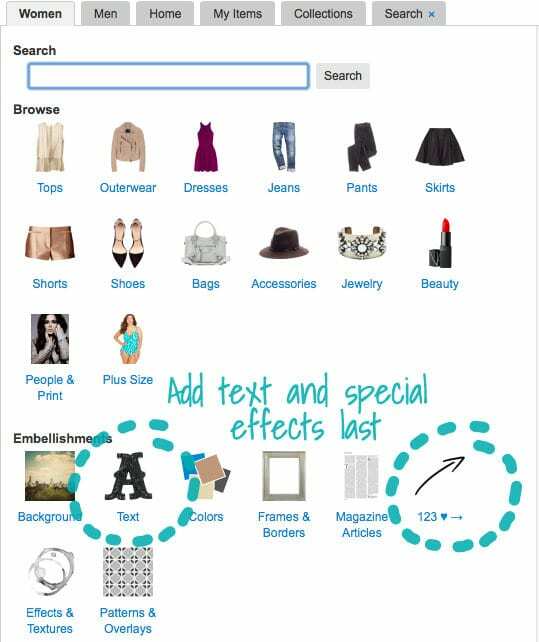 When you hover over any product on your board in Polyvore, you can easily see where the item is from and how much it costs. Then if you click on it (twice), Polyvore will open up a new tab where you can buy that item from whatever store it’s from (i.e. PIER 1 in the image above). <– this is a super helpful feature for us because we can easily link directly to any item we include, without having to go back and find each URL ourselves. We’re not sure if this last part is the most tech-savvy or efficient way to do this, but once our mood board is done we take a screenshot of the final product to show on the blog as a regular image (there is an option to get a HTML code and include that instead). 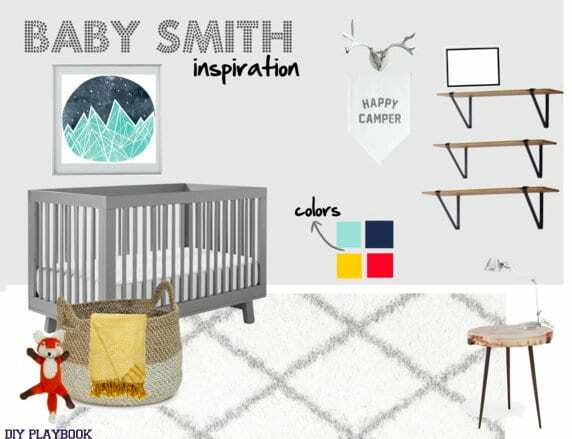 When we worked on the nursery mood board, we weren’t necessarily looking for EXACT items (except for the crib and art), we were just looking for items to get the “vibe”. 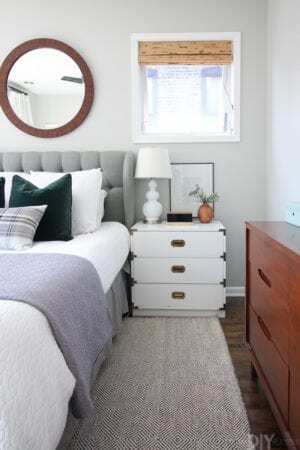 Once we ironed out the vibe and color scheme of the room, we were able to send this image to Katie for her approval. Then all 3 of us saved this mood board image to our phones so we could easily access it when we were out shopping and saw something we loved. 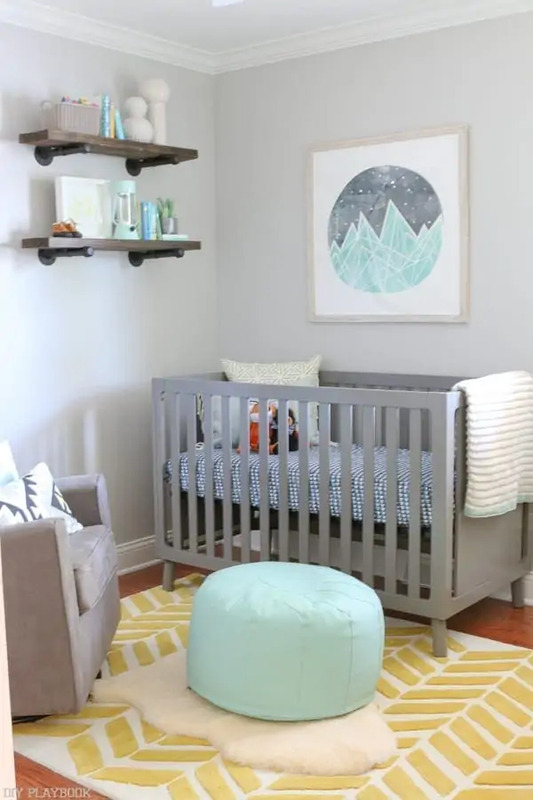 As you can see from the reveal, the nursery didn’t stick EXACTLY to the board (which is OKAY!) but the mood board was super helpful to keep our vision on track. Plus, this mood board ensured all three of us were visualizing the same thing and could plan accordingly. 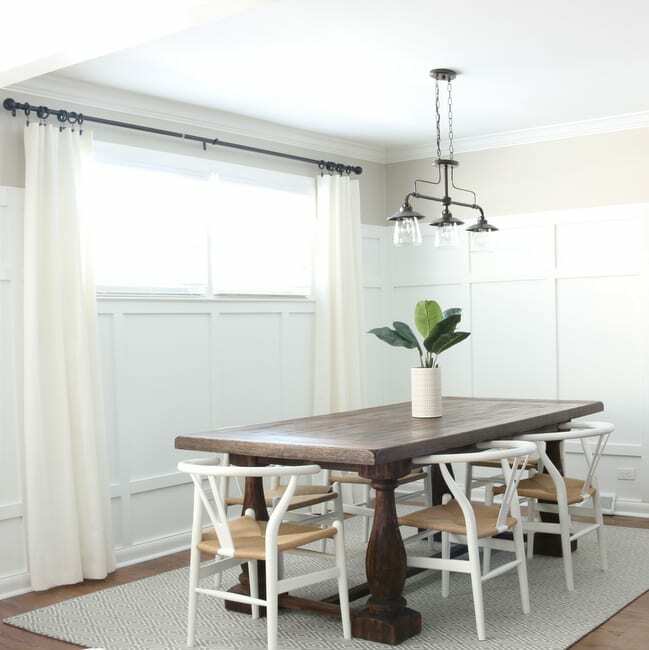 Whether you’re a blogger looking to create more mood boards, or are just looking to get your hubby on board with the new dining room design, we hope this tutorial helps you visualize your space and plan accordingly. 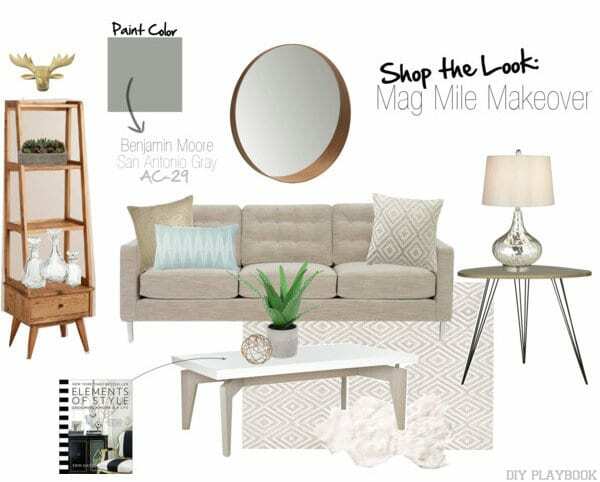 We promise that these mood boards are pretty darn easy and WELL worth the time throughout the entire design process.